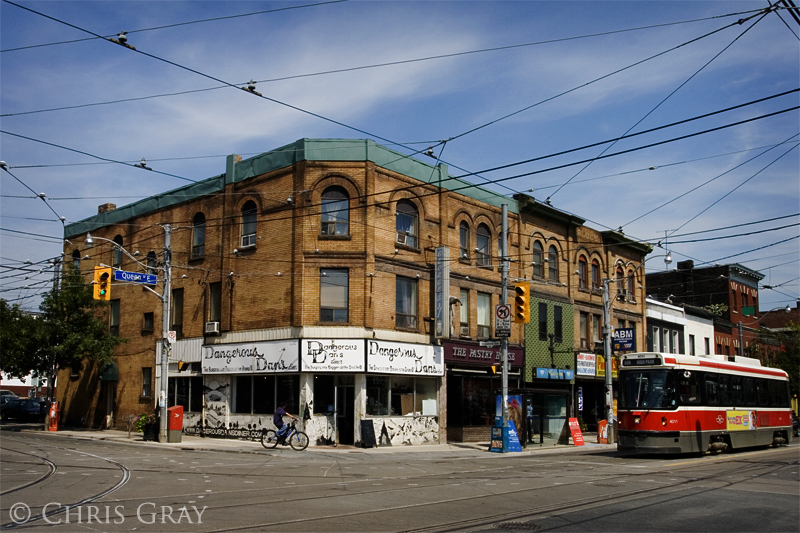 On my way to Busker Fest last weekend, I took this wide angle shot of Queen and Broadview. More from Busker Fest. It's amazing how many people were down there - including this rather tall person. I loved the costume, and I don't generally like clowns. 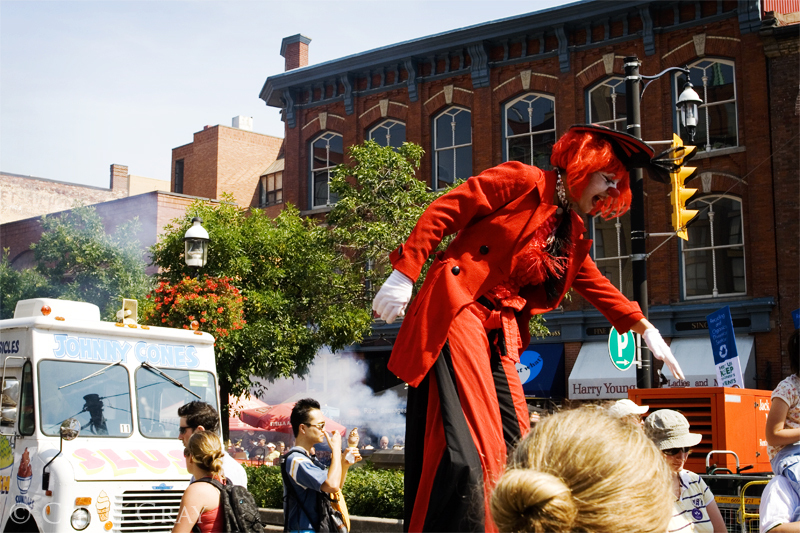 It was Busker Fest this weekend in Toronto. 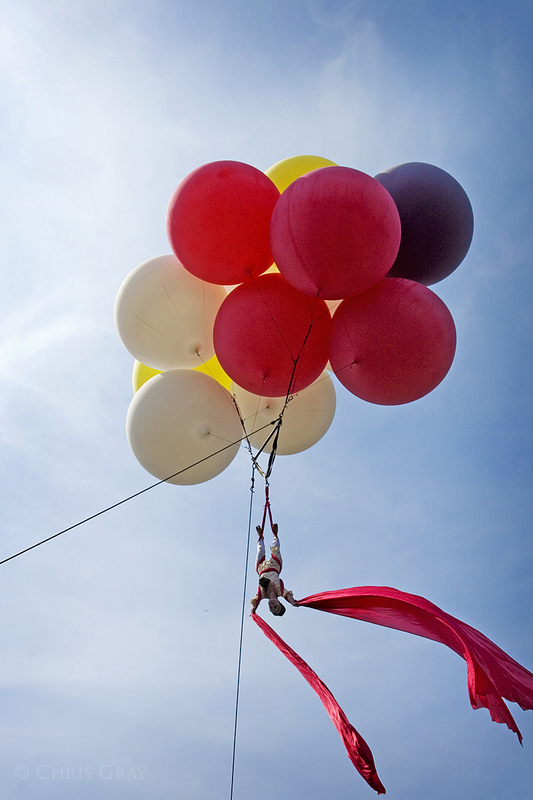 There were all kinds of different performers on the ground, but this young lady had everyone looking to the skies. It's gotta be a quite a sight to be looking down from this height onto the street, filled with people looking back up at you. 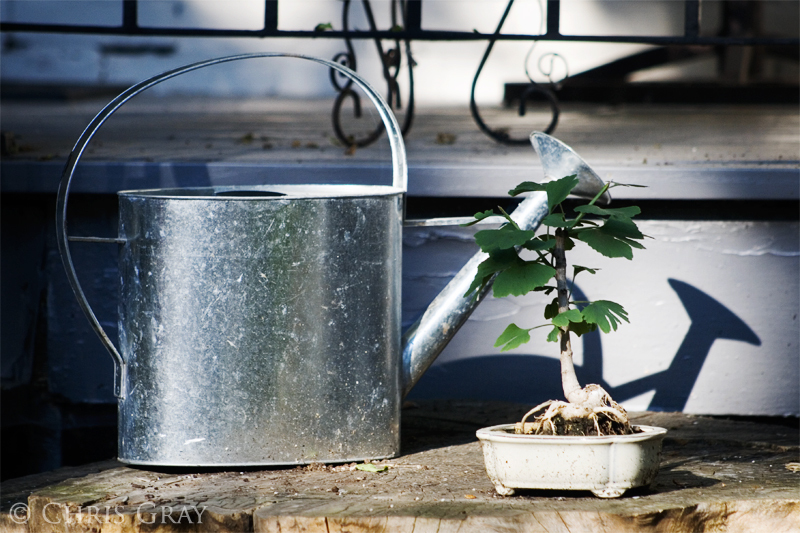 It seems that somebody's been doing a little front yard gardening. I liked the light on the two objects, but I got funny looks for taking this particular picture. 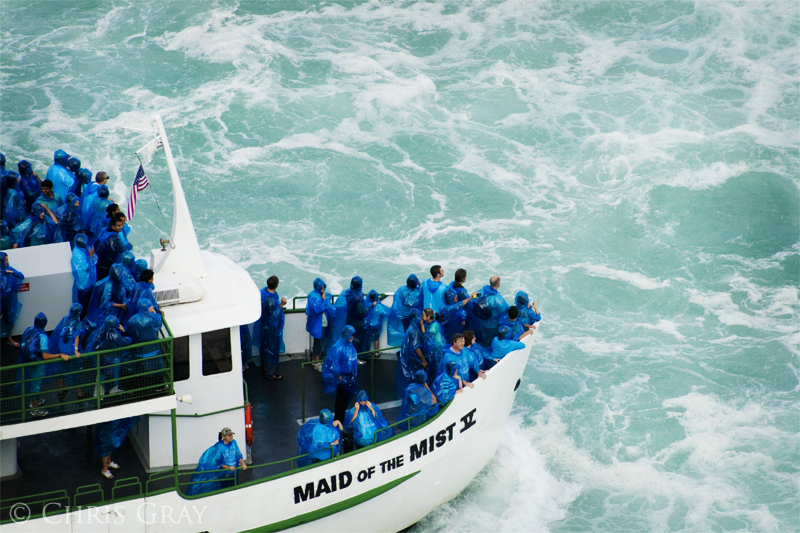 I dunno if I'd ever be comfortable enough to go on the Maid of the Mist - they get a little crowded sometimes. The couple on the front of the boat seem to be having a good time, though. 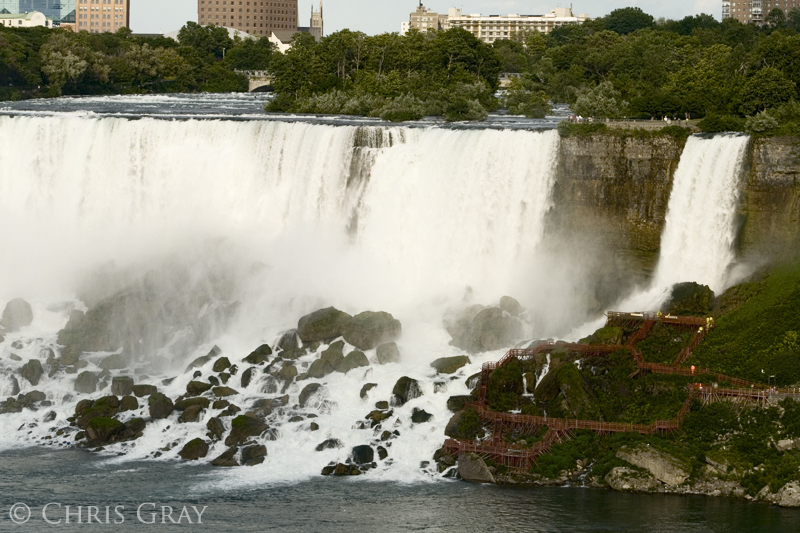 On our trip to Niagara, I managed to get some great shots of the falls. This is the American Falls - you can see that the tourists get to actually go up to the falls themselves, via a series of scaffolding and stairways. 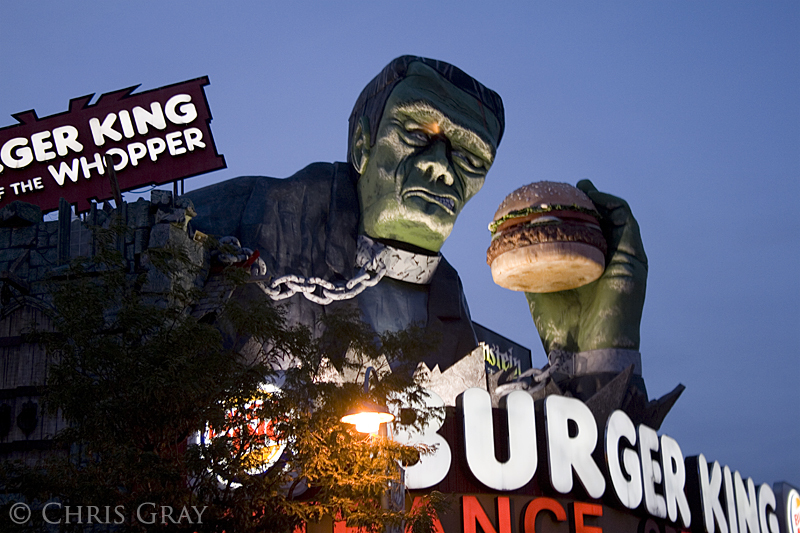 Frankenstein munches a burger on Clifton Hill in Niagara Falls. I love the level of tackiness that abounds on that street. It's so over the top, it's funny. Just a question though - how is he holding the burger? It's just sort of attached to his hand, isn't it? 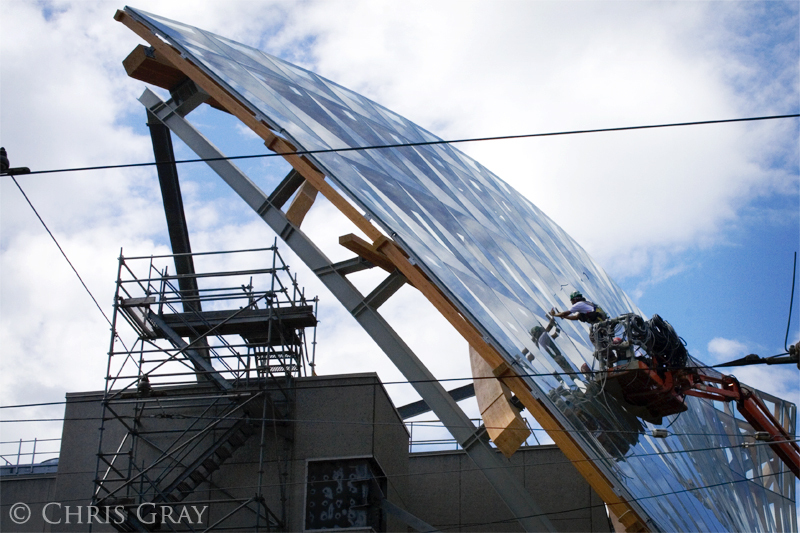 Work continues on the Art Gallery of Ontario, which is just one street up from my work. I've been watching the construction for the last year or so, and I'm fascinated by the changes they're making to the building. I like the curved curtain of glass that's being added to the front of the building, and I'm glad to see more and more of the work being completed. It doesn't open till November, but you can really see what it's going to look like when it's done. 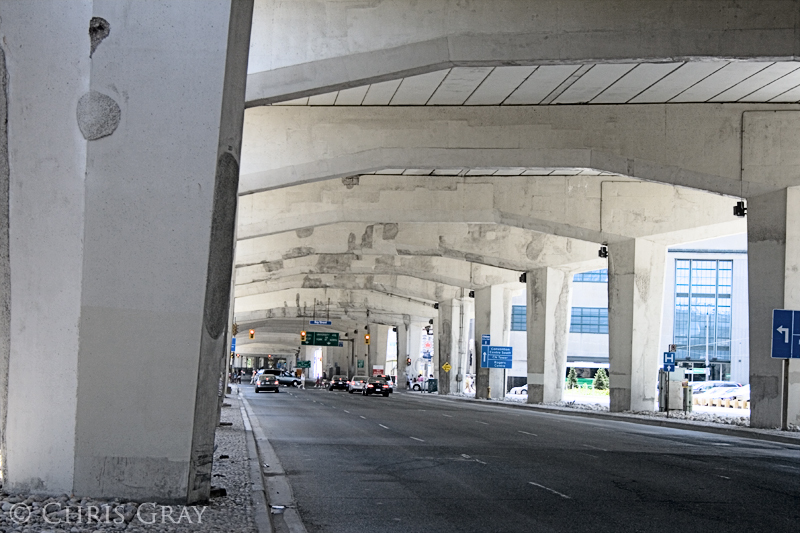 Watching a movie the other day made me want to take some shots of the Gardiner. It's a vastly underrated feature of the city, and constantly threatened by weather, age, erosion, and politicians. I think they'll eventually eliminate it, so I want to capture some shots of it before it's gone. This is not the safest place to be sitting. Those are the Niagara River rapids, just above the Horseshoe Falls. We took a day trip there during our holidays to show the kids just how tacky a street in Canada can be. This guy was one of the first things I noticed after we parked the car. More sunset at Ashbridges Bay. These two young men were busy playing Frisbee in the water - when they came out I caught them, and the boats behind them.